Situated about 100kms north of Gondar the Semein Mountains is one of Africa’s largest ranges studded with at least a dozen peaks topping 4000m mark and hence Ethiopia is also called the “Roof of Africa”. This includes Ras Dashen (Dejen) the highest peak in Ethiopia and the fourth highest in Africa. 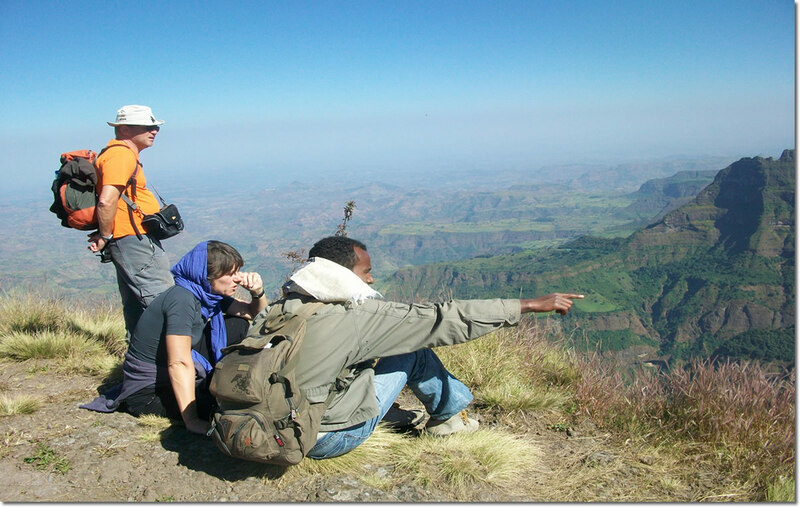 The western side of the range excluding Ras Dashen was designated as the Simien mountain National park in 1969 and the entire range was listed as a UNESCO World heritage site in 1979. Bale Mountains are of a relatively ancient volcanic origin having formed from solidified lava more than 10 millions years ago. The national park protects the higher reaches of the Bale range including mount Tullu Demtu which at 4377m is the second highest point in Ethiopia. 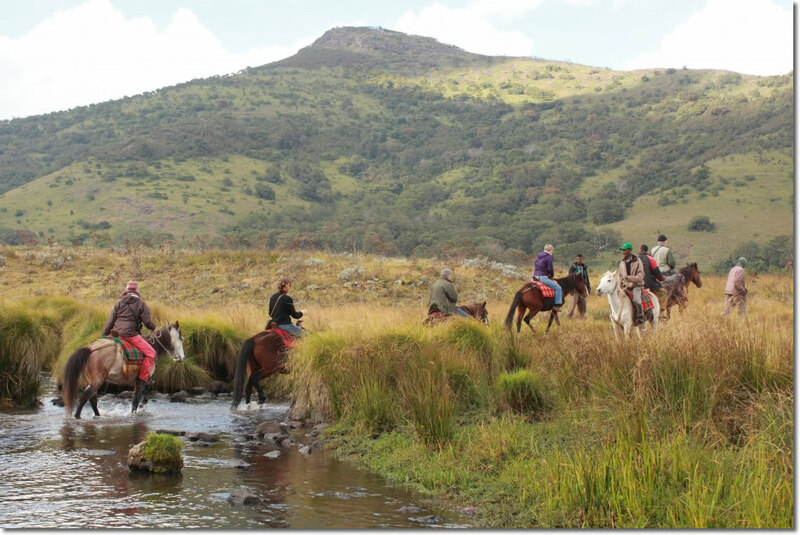 Bale Mountains National Park is an area of high altitude plateau that is broken by numerous spectacular volcanic plugs and peaks, beautiful alpine lakes and rushing mountain streams that descend in to deep rocky gorges on their way to the lowlands below. Part of the park can be explored by driving. A more satisfactory way to explore the park is again by foot or mule organized from Dinsho Park Head Quarter. The parks main attractions include wild alpine scenery, various species of Fauna and flora. The relative ease with which one can explore many endemic species of birds and big mammals such as Ethiopian wolves and mountain Nyala makes Bale one of our popular destinations for hikers and trekkers. We encourage trekking & camping in local community based eco-Tourism sites such as Tesfa community in Lalibela and Adaba-Dodola region. These kind of local projects help in contributing to poverty reduction by generating alternative income and local employment for the local population. Moreover, it is adding value to the forest conservation efforts and maintaining local cultures of local communities and increasing awareness of the people about the importance of the forest resource.